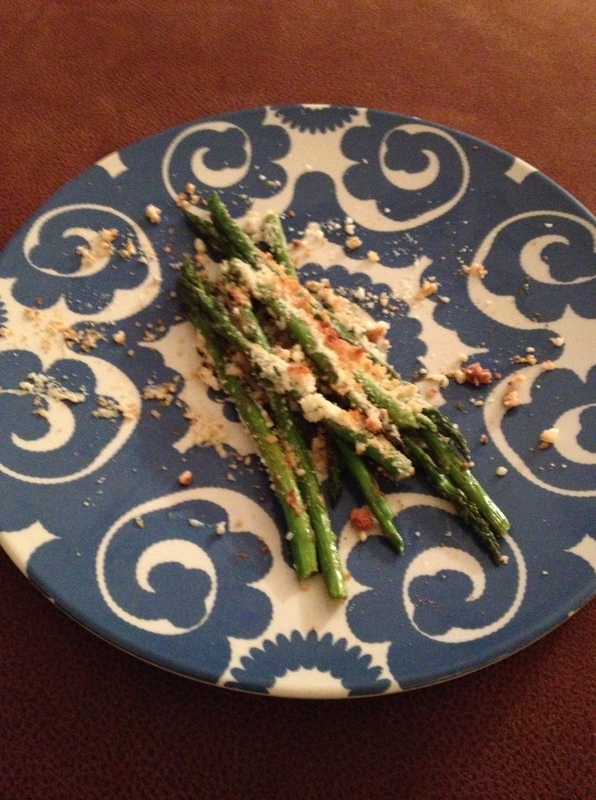 Last night I decided I was completely and totally sick of steaming veggies in the microwave so I decided to try a roasted asparagus recipe that I found from Pinterest. 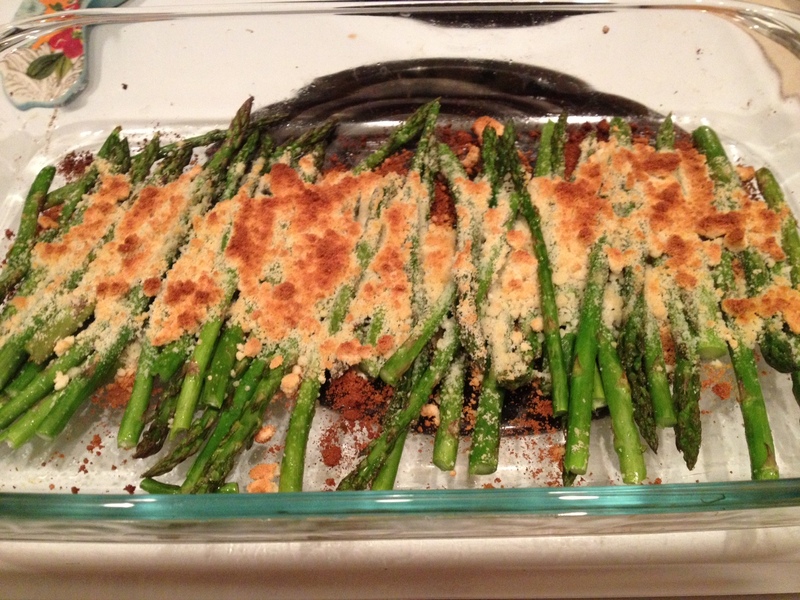 I haven’t posted a recipe in a while…another NY resolution is to try to cook more. 1. preheat oven to 475. 5. squeeze or pour lemon juice over top and walaa, YUM!! PS Check out the recipe page for other roasted veggie ideas.